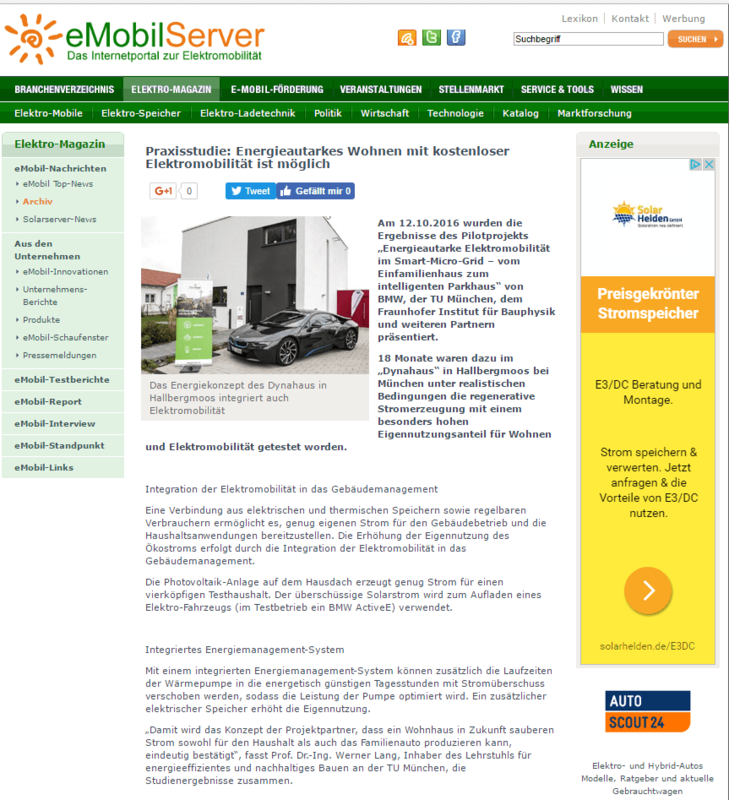 Case Study PR for Real Estate: With its subsidiary Dynahaus, the Bauunternehmung Krieger + Schramm 2012, in collaboration with the Technical University Munich, the Fraunhofer Institute, BMW Munich, SMA Solar Technology, the University of Kassel, Stiebel Eltron, Ingenieurbuero Hauser and Apollon Solar conducted a pilot project of a state-of-the-art energy storage house. The “Dynahaus” is a nearly energy-efficient, massively built high-tech single-family house with outstanding ecological balance and first-class living comfort. “With Dynahaus, we want to exceed our energetic standards and create exemplary framework conditions for sustainability in the conventional everyday life of everyone,” explains Matthias Krieger. With a state-of-the-art technology, precise materials and innovative construction, as well as an integrated energy management system, the building achieves more energy than the user consumes directly in the house thanks to the latest conceptualization and conceptual design. 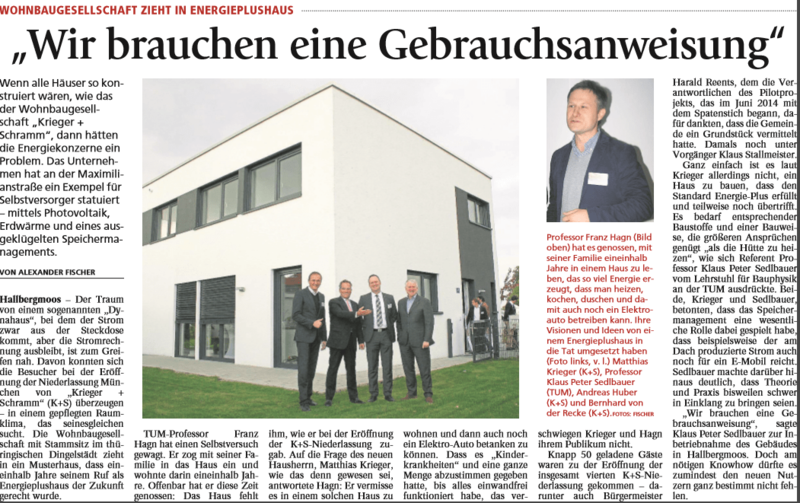 This project is to be further advanced by the subsidiary Krieger + Schramm Wohnbau Munich in the Munich area. As a PR consultancy with a focus on real estate, WORDUP also supports other customers such as the Hotel Kaufmann and its innovative extension building in the Allgäu region. 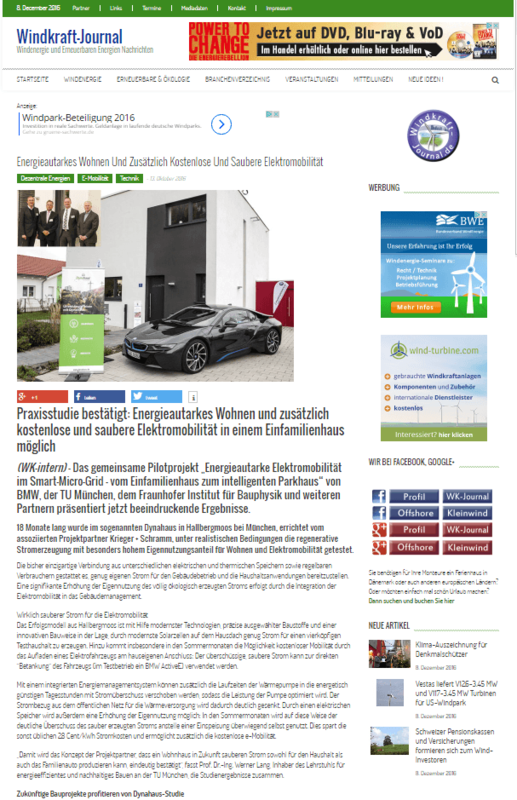 Press relations and media relations for the study results of research project Dynahaus with partners Krieger + Schramm, Munich University, BMW, Fraunhofer Gesellschaft u.a. 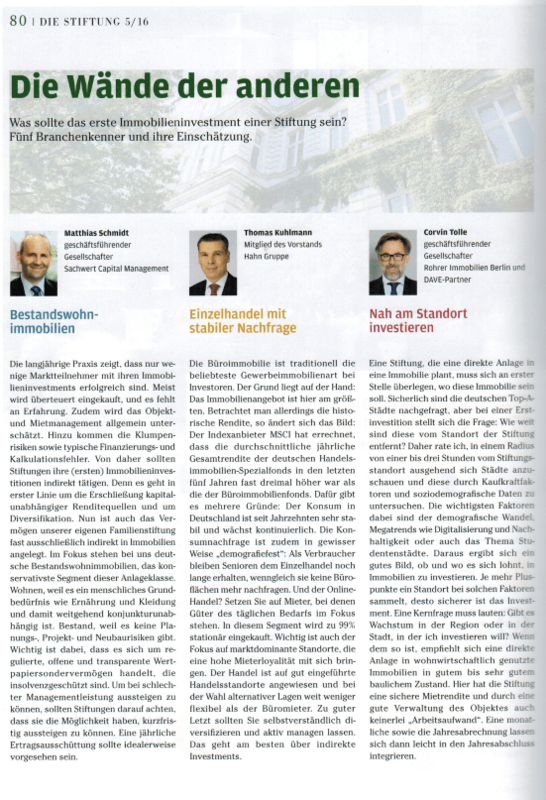 Bauunternehmung Krieger & Schramm im Magazin "Die Stiftung"